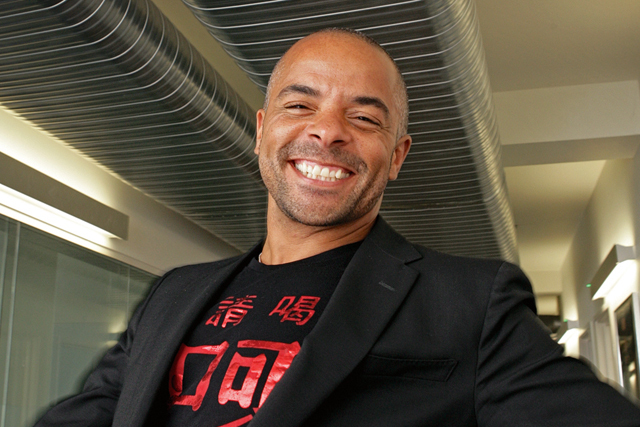 As Jonathan Mildenhall prepares to quit Airbnb's top marketing role, Campaign recalls some of the (many) arresting quotes from his three-year-tenure. "I have recruited more people who, on paper, shouldn't have been able to do the job. If my own experience has taught me anything it’s that paper can only tell you so much. I have learnt to listen to my gut and follow my instincts. And so it came full circle: men and women walked into the office everyday thinking 'prove Jonathan right'. The one thing I know for sure is that when you have a team like that, as a leader, you simply cannot fail. "Now when I look at the industry I get such a buzz from the sheer number of leaders, chief executives, entrepreneurs, agency heads and female executive creative directors that I placed an eyebrow-raising bet on, and who have never let me down." Back when Jonathan Mildenhall was a young ad exec, he sent a new client a casting tape of South American farm workers. "The CMO called – she hadn’t seen me yet, and I have an English name and accent – saying ‘We need to talk about this tape, it’s far too black.’ I told her we couldn’t have this conversation over the phone," the Airbnb CMO says. "I drove to see her. When she came to greet me and saw this black guy… her face! ‘I’ve been thinking about this tape and I think it’s authentic,’ was what she said next." More brands will launch in-house creative operations to work directly with content creators. Their goal will be to produce premium content, which audiences will proactively seek out and pay for. Brand partnerships will continue to mushroom across the market, similar to Airbnb’s "Night at…" series partnership with the Art Institute of Chicago. A disruption of conventional entertainment consumption will bring forth truly unique experiences. The rise of the new creative class will lead to a mass migration from traditional agencies and content-production studios to brands. This process aims to bring these creatives closer to the heart of the decision-making process. On being the "chief dirty word officer"
"I often describe myself as the chief dirty word officer... I like that. It stops me being predictable. The founders [Brian Chesky, Joe Gebbia and Nathan Blecharczyk] have a ferocious appetite for innovation but a healthy suspicion of anything that ‘feels like marketing’. They want creative work that’s not just effective but surprising too."